Cunning plans are always the best Patrick. It's probably too late to organise something this year (work holidays etc) but next year - who knows? Well chaps..Rock Island did indeed have a great time at The Forum Arts Centre in Darlington and took some cracking photos of the band some of which can be seen on the Cold Flame Facebook page. Although she has promised to review the gig and send me the collection of snaps this would appear to be very much a work in progress. Anyway whilst we all await with baited breath...but not before mentioning that a recent low key rock and blues gig we did was watched by none other than our good friend Paul Burgess who Forum users will remember played with Tull in 1982 at the Nostel Priory Festival and then on the Broadsword US tour. As always it was good to see him and have a quick chat. Time now to move on to Cold Flame's next Jethro Tull tribute Show which is happening in several days time. Doors open at 8pm. The five piece Cold Flame will be performing a two hour show comprising of Tull and Ian Anderson electric and acoustic classics from 1968 to the present day together with a number of comical pythonesque sketches - a trademark of Tull shows for many years. Another opportunity to encourage Forum members to spread the word about the band and definitely the Yardbirds gig on the 13th. Whilst so doing as a message to all Forum users, should you suggest any venues for future gigs, we will promise to look at and see what can be arranged. We are currently discussing the merits of playing a Tull tribute again in Leeds after a three year break.Any comments from Forum users who live in the area and might support such a gig please message me or display on this thread.That would be a great help.Ta.Meantime do check out www.coldflame.com Hopefully within the next couple of weeks, we will have updated the Gallery page with lots of new live action shots some of which display Pete looking uncannily like Ian Anderson circa 1973. Thanks for the update Patrick and look forward to seeing the lastest set of pictures. In the meantime, suggestions for venues for Cold Flame would be gratefully appreciated. Suggestions for new venues to play for Cold Flame's future Tull shows gratefully received. The idea of Forum users meeting up at a Cold Flame gig is a good idea and who knows before we know where we are, the roads will lead to a new Tull fan Convention harking back to those great days when Conventions came along almost as quickly as a new Tull album. Meanwhile back at Flame HQ still no news on those eagerly awaited pics from Darlington though you can see a few pics on Peter's [the band's frontman/flautist] facebook page under his moniker partmanpartbeard. And finally...Dont forget the band will be centre stage this coming Friday July 13th in Grimsby at The Yardbirds Club. Look forward to meeting some Forum users and talking Tull past, present and future. Live at The Yardbirds Club - u tube snippet. As I remain a Luddite with modern technology, perhaps someone else can load this video link on to the forum but for now this is Living in the Past played live in Grimsby last Friday night from side stage. Not the best lighting though in fact the lighting on the night was far better than is captured here. ps.If anyone is around Quimper in Brittany next Wednesday for Ian and co. give me a shout as I will be there. Thanks tootull for posting the vid. Sat Nov 24 The Rockhouse, Eccles, Greater Manchester. Thurs May 23 2013 Robin 2, Bilston, Wolverhampton. Whilst Ian Anderson and friends busy themselves across the pond and Martin and friends prepare for a UK tour this Autumn, Cold Flame are once more donning their Tull garb. The band's acclaimed Jethro Tull tribute show has seen the Flame play both across the UK and mainland Europe for over a decade. Now in 2012 the original five piece band led by flautist multi instrumentalist and Ian Anderson look alike Pete Cheetham are back with a vengeance and new jodhpurs, boots and sporrans this Autumn with a number of shows following summer Tull tributes and guesting with Curved Air. Further Tull tribute dates may be added before Christmas with a number of high profile concerts already confirmed for 2013. Do keep the suggestions coming please regarding suitable venues for these shows anywhere in the UK considered. FRIDAY SEPTEMBER 28th - The Jolly Tar, Wardle, Nantwich, Cheshire. The first of these latest outings sees Cold Flame live at The Jolly Tar in Wardle near Nantwich - a two hour plus performance from the five piece band with material covering many of the quintessential classics that have made Jethro Tull one of the all time great classic rock bands. Quality musicianship, humour and a dynamic stage show all linked by the band's presentation of Tull music in all its varied musical forms from heavy rock through to blues and folk rock.Starts at 9pm prompt so get there early to guarantee a good seat. SATURDAY SEPTEMBER 29th - The Bakers Vaults, Stockport, Cheshire. Cold Flame return to one of their fave venues around the north west. The band will be performing a mix of original rock, blues and folk rock material laced with Jethro Tull classics. Starts at 9.15pm...two sets and late bar in Stockport's premier live music venue. a two hour plus performance from the five piece band with material covering many of the quintessential classics that have made Jethro Tull one of the all time great classic rock bands. Quality musicianship, humour and a dynamic stage show all linked by the band's presentation of Tull music in all its varied musical forms from heavy rock through to blues and folk rock.Starts at 9pm prompt so get there early to guarantee a good seat. SATURDAY NOVEMBER 24th - The Rockhouse, Eccles, Manchester. Do come along and support a worthy cause all in the cause of misguided middle aged flute players everywhere. Thanks Patrick - too far for me to travel on public transport but have some good gigs and look forward to some photographs and reviews please. Looking at the calibre of venue your guys are currently playing in, you wouldn't go far wrong trying the Huntingdon Hall in Worcester. I don't have anything to do with them by the way - I just know it as a decent venue! Thanks Zobstick..I seem to recall we met long ago when Jethro Tull was a highly creative band of five musicians most of whom had beards...ah well time flies...Thanks for the tip re Huntingdon Hall in Worcester. Any suggestions will always be followed up within days and I appreciate the support. Regarding the next few gigs...of course we will try and sort some piccies out and reviews as well though what we don't want to do of course is write our own review..that would not be British. Meanwhile some pics from the band's summer Tull tribute shows are about to appear on the Cold Flame website in a couple of days...see www.coldflame.com Rock Island took most of these new pics and there are also a couple by our good friend Mike Prendergast. As for the review Rock Island promised - well I did remind her several times but I guess the show has now gone out of her head so maybe she will end up reviewing one of the Autumn ones instead. maybe you get get a Rupert Murdoch employee to HACK your review...that would be British! "Old *asterd Attacked by Useless Shower of *iss"
This Sunday October 7th Cold Flame will be performing a full scale Jethro Tull tribute show at The Diamond Club in Sutton in Ashfield, Nottinghamshire. A two hour plus tour de force of Tull rock, blues and acoustic classics together with theatrics starting around 9pm. All Tull fans reading this do tell your friends and maybe we can meet up for the night. ps.Hi Non rabbit..in answer to your question regarding rock island her recent activity mainly surrounds her spending lots of time with her boyfriend. Thanks for that nonrabbit - not sure why the link was not working but I hope lots of people check out the pics.Unfortunately they have been minimized and compressed from the originals but it's a fair representation of the tribute part of what Cold Flame do. If anyone wants to copy any of these pics onto the Forum please feel free. My efforts to understand the technology falls way short of being able to do this myself. Over the last few months, I have received several suggestions from forum users about suitable venues. In every case a detailed email with attachments has been sent off to these venues.In every case bar one, a reply has sadly not been forthcoming. I am pleased to say however that there are already about ten tribute shows lined up for 2013 with every possibility of further concerts being added. Any suggestions, as always, will be followed up straight away. Thanks Patrick. I'll have a good look at the Cold Flame site at the weekend. Where would I be without the good help of Graham aka maddogfagin who has kindly agreed to post some pics from the band's recent forays into Tull land. It is probably also worth mentioning that Cold Flame have two facebook sites which have recently been taken over and revamped by our good friend James P. Always looking to make new friends so do come along and check us out there. As a bonus here is a link to a number of vids some of them brand new of Cold Flame's Tull tribute show.The latest ones are from the Diamond in Nottinghamshire last week. Not the largest attendence we have ever encountered but they enjoyed our efforts nonetheless. Whilst suffering from huge flashy light syndrome and Rob the guitarist feeling a tad under the weather, most of the footage is not too bad to the sympathetic, educated and ageing ear.Please be gentle..it's just a bit of fun after all...Cheers..Patrick. Really hope to see them next year! On behalf of the band, thank you Graham for posting these pics taken at recent Tull tribute shows performed by Cold Flame in the north of England. I hope that forum users enjoy the pics as much as non rabbit does. Meantime we look forward to meeting up with forum members at future shows. Next year - well who knows? Cold Flame perform their final Jethro Tull tribute show of 2012 this coming Saturday in the north west of England. The five piece line up have been busy rehearsing a slightly different setlist to that performed in earlier concerts this year. Saturday November 24th will see the chaps on stage from 9pm at The Rockhouse Hotel in Eccles,Manchester. 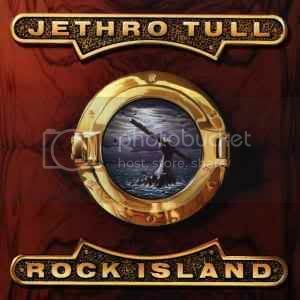 Two hours plus of non stop classic vindaloo Tull spanning the full history of the band. www.rockhousehotel.co.uk or phone 0161 789 0857. Meanwhile Cold Flame are currently taking new tribute bookings for 2013. Suggestions always very welcome. The premier Jethro Tull tribute band in the north of England and Midlands perform a special show featuring over two hours of Tull and Ian Anderson classics featuring the flute,guitar and vocals of frontman Peter Cheetham complete with knee high boots, tailcoat and codpiece. The material will feature mainly rockier material with the five piece line up adding some humour and visuals. Doors open at 7.30pm for a 9pm start. A great opportunity for Tull fans to meet up.